The Macho Rev.B is one of Thermalright's most popular and best performing CPU coolers and by the looks of it you can see why. 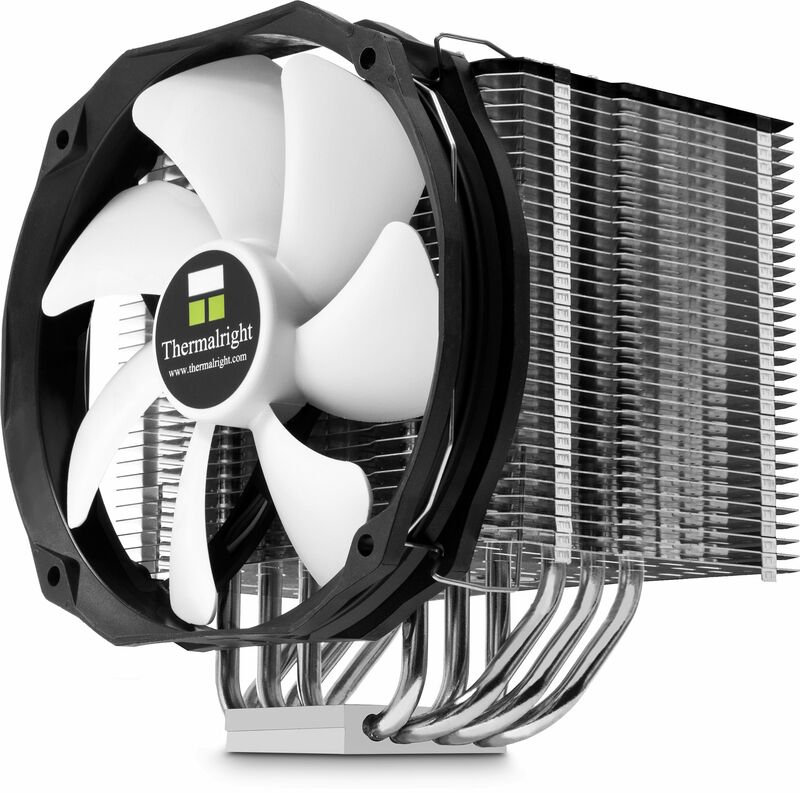 Since its release in the summer of 2011 the Macho is the first choice for users who are looking for a high-performance and low-noise CPU-cooler. 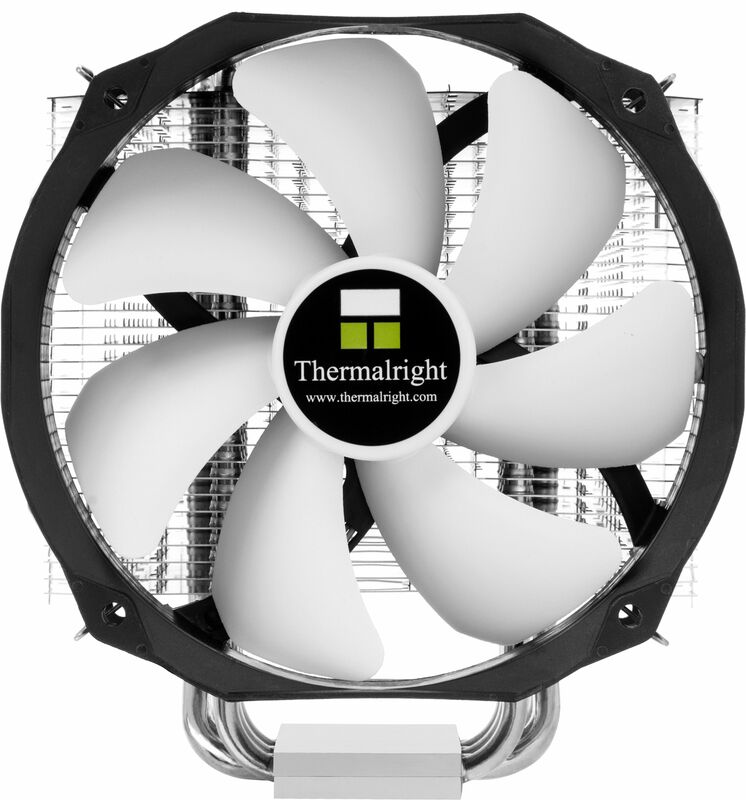 The design of the heat sink, which has been optimised for very quiet operation, is based on a year-long experience and extensive development by Thermalright's engineers. A variety of copies, which are now offered under different brand names, proofs the ingenuity of their design. Thermalright would not be the leading manufacturer worldwide, if they stopped to further improve their own products. With the Macho Rev.B they improved an already outstanding product by implementing specific improvements – true to their motto "innovate – don't imitate". Based on the highly acclaimed "IB-E" flagships Silver Arrow and Archon X2, the Macho Rev. B now offers a significantly enlarged, nickel-plated and highly polished base (53 x 40 mm). Thanks to this innovation – which is usually only used in the high-end models – the cooling capacity and the advantage in performance over competing products can be further improved. Therefore the Macho Rev. B is perfectly suited to work with the current Intel Core i7 high-performance CPUs with up to 8 cores. The optics of the Macho Rev. B has also been improvised: The copper heat pipes are in the new revision nickel plated and offer in combination with the black anodised top fin a probably unique elegant appearance. Another novelty of the Macho Rev. B relates to the included fan. The cooler features a temperature-controlled TY 147 A fan (PWM). With a fan speed of 300 – 1300 RPM (± 15%), the TY 147 A is even quieter than its predecessor (TY 147: 900 – 1300). Making the Macho Rev.B virtually inaudible during normal operation from the outside. The TY 147 A fan features a low-wear "Enhanced Hyper-Flow" bearing. The airflow of the for ultra-quiet operation optimised fan varies between 16.9 and an impressive 73.5 CFM while generating a noise level in the range of 15 – 21 dB(A). 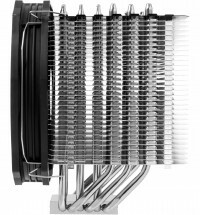 The proven fan with its unique design features mounting points of a conventional 120mm fan and has a larger inner diameter than conventional 140mm fans. 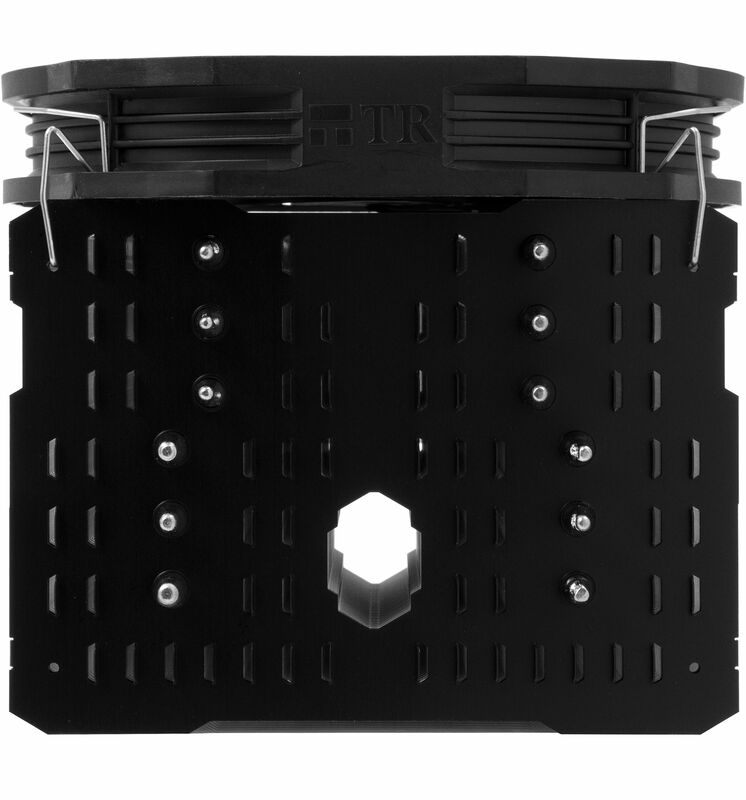 The fan is fitted securely to the heatsink with the included, revised fan brackets - adhesive anti-vibration pads allow for decoupled mounting. The original conception of the Macho has been maintained: The heat sink is aligned to the rear of the PC case in order to prevent incompatibilities when using ram modules with high-rising heat spreaders. The aluminium cooling fins are perforated by a plethora of air holes, which counteract air accumulation between the cooling fins. The special design of the heatsinks aluminium fins allows for a particularly low air resistance. The oval air duct in the middle of the cooler provides controlled air turbulence within the heat sink, whereby the heat can be dissipated more effectively. 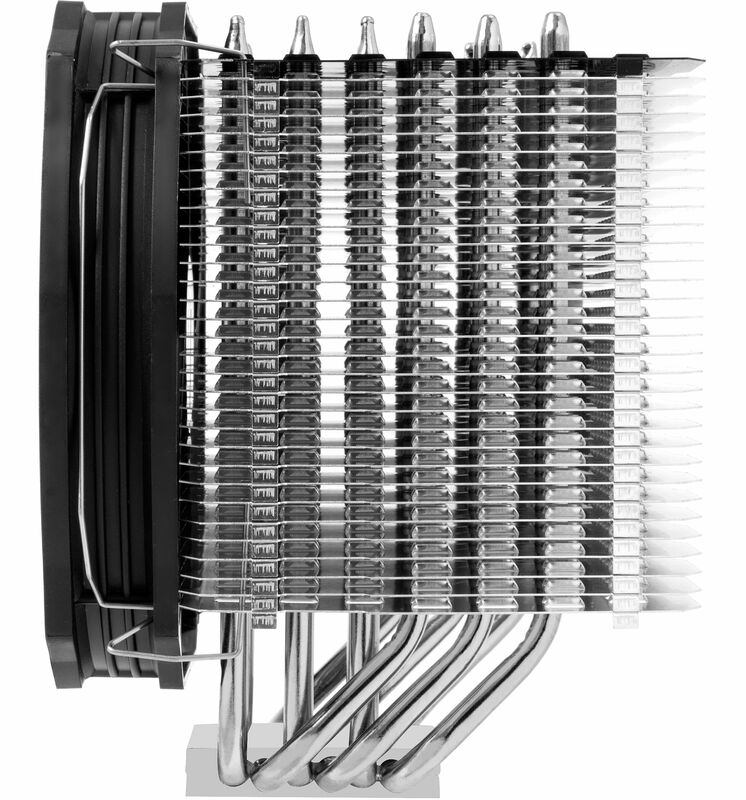 As with all Thermalright's high performance coolers the Macho Revision B makes use of the well-proven heat pipe technology. A total of six high-performance 6mm heatpipes provide the most efficient dissipation of the generated processor heat. The heatpipes are tightly integrated into the nickel-plated copper base plate, which guarantees the most effective heat dissipation. 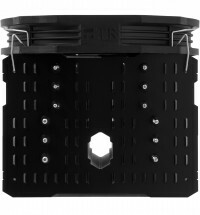 A universal mounting kit is included with the Macho Rev. B that supports all current Intel- and AMD sockets. Also included in the package is a Thermalright extra-long screwdriver that has a magnetic tip to make installing the cooler very easy, even if the motherboard has already been mounted in the case (given that an appropriate mounting hole for the installation of the back plate is available on the motherboard tray). The installation is easy and self explanatory. The package also includes the excellent Thermalright Chill Factor thermal paste.